These are some comments from around the web that Dr. Williams' patients have posted. Doctor Williams" skill and patient care is second to none. He has taken care of me through demanding, difficult treatment and made it comfortable for me. Doctor Williams, throughout my treatment, has always been "up" !!!!!! His reassuring, positive personality, in addition to his skill, is his care multiplier and has been very effective in helping me. His staff has always been very efficient and professional. "I have been blessed with good health and have not had to visit many doctors, however, my visit with Dr. Williams was the most satisfying doctors visit I have experienced. When I left I felt very confident that I understood my medical problem fully as well as the treatment options available to me. Further, I was confident that I understood what results might be expected and all possible side effects." He treated my cancer seven years ago. I have had no side effects and I am so glad I chose him for myradiation treatment. He and his staff are the best. I would highly recommend Dr. Williams. "Dr Williams is a quality and caring doctor who saw me through my prostate cancer treatment with radiation seeding. I consider him both a fine doctor and also a friend who will always take the time to explain every question and do it in a way that you feel he's more your vest friend than your doctor. Atlanta Oncology has been by far the best medical exerience I've ever had in terms of its people, procedures, effectiveness and friendliness, not just the doctor but the entire staff. 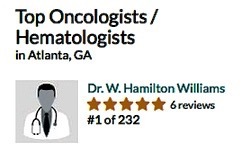 If you need a radiation oncologist, go see Dr. Hamilton...he's the best." 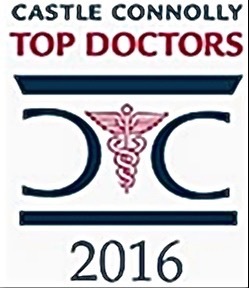 "Dr Williams' skill and care are second to none. He coordinate with my urologist and oncologist to give me demanding and difficult treatment. Dr Williams has always been "up" !!! His encouraging and positive personality is his care multiplier. His staff is always efficient and professional." "I had an exceptionally positive experience dealing with Dr. Williams and the superb staff at Northside Hospital Atlanta. He is truly a gifted physician, extremely knowledgeable, very easy to communicate with and always upbeat. When you are in this situation, you need to know that you have the very best doctor and support group to guide you through the process and that is exactly what you get from Dr. Williams. He certainly made a big difference in my life and I strongly recommend him." "After my husband entered emergency at Northside Hospital on April 4, 2012, Dr. Williams invested himself in the challenge to control severe hemmorhaging found to be complications from metatastis of thyroid cancer in the Great veins leading to left lung. He served as advocate for my husband with team of doctors to study his case while my husband was placed on respirator in a medically induced coma. After surviving and recovery from an extremely serious surgery to remove left lung, along with the cancer and repair to support heart..........Dr. Williams has remained an integral medical advisor for my husbands care. He established a protocol for stereotactic radiation to remaining lung and then when vision problems revealed places in brain. He has guided us to the Mayo Clinic and Proton Therapy Center for treatment to the place in the eye, where the treatment might eradicate the cancer but still preserve the retina. scans are being done on regular cycle and have shown improvement each time. We are grateful for the wealth of knowledge Dr. Williams possesses and his care and consideration given to my husband and our family. Highly dedicated doctor and wonderful person." Please call Radiation Oncology of Atlanta at 404-705-9192, or call Northside Hospital at 404-300-3394 if you have questions or want to schedule a consultation or follow-up appointment.